Google's entry into the connected home market looks unassuming, but has thus far proved to be amusing. Even though it might be lacking in features and integrations right now, that could easily change down the road. In the spirit of Home's release, iFixit has given us their sacred teardown tradition to determine repairability for the smart speaker. Complete with photos and x-ray shots of the whole process, the process showed a few surprises. Other than some issue with the LED board adhered to the top of the casing, iFixit had very little trouble with taking this apart. 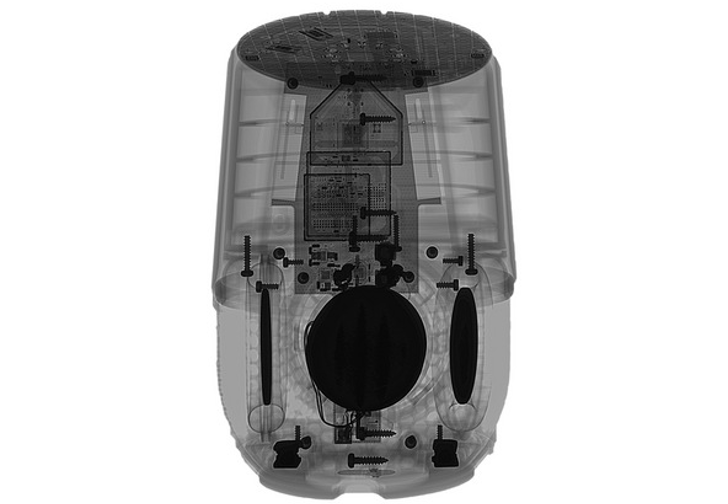 Upon removal, they found only two microphones — compare that to the Amazon Echo's seven. So we will have to see if the Home's two will be enough to match the Echo's, or if it will even matter at all. 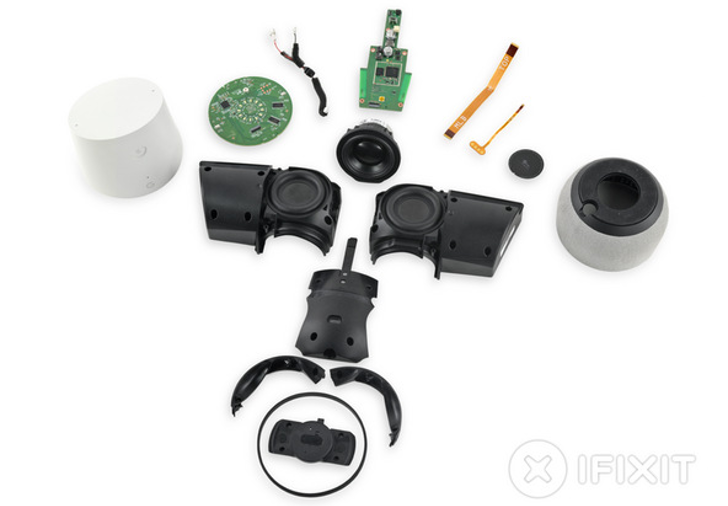 The most interesting finding in this teardown was the guts of the speaker itself. iFixit said they had a bit of déjà vu when they got to the motherboard. Part for part, they said that the CPU, RAM, and flash were the same as last year's Chromecast. In the picture they have of the board, I can sort of see a first-gen Chromecast shape to it. Maybe I am crazy. iFixit was quick to note the modularity of the Home, saying this would mean that most parts should be able to be replaced easily were that ever needed. Overall, they gave the Home a repairability score of 8/10. The only difficult thing they noticed was how strongly the LED board was adhered to the case. Beyond that, they really liked the standard screws and connectors and the lack of moving parts. As is always the case with iFixit teardowns, most of the fun is in the photos. So hit up the source link and check them out.